Saturday I was involved in a friendly “marital kidnapping”. We were supposed to be running to the store. It was a quick trip so work out clothes and flip flops is acceptable attire, right? No lipgloss was worn, just Oakley shades and chapstick. After the agreed upon “quick trip” the car went left instead of right. I squinted and raised an eyebrow. HOW did we end up at a local car show, for hours? Fortunately, I love cars & spending time with my Mr. So, the his & her paint is always a car show topic. 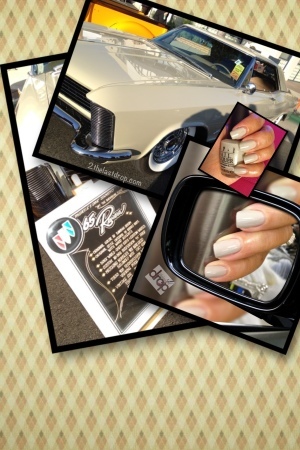 He describes the candy paint and the color schematics…and I describe what shade that translates to in Nail Polish Land, the country I’m from (yes, I’m laughing). Here’s a 1965 Buick Riviera. A beautiful old school classic car in a paint called “Butter Cream”. THIS IS HIS PAINT. I smiled and pointed out that this is also a dupe for OPI’s “Skull & Glossbones. THIS IS HER PAINT. This my friends is true love! Polish on everyone. Polish on. I love sunshine!!! Sunshine in the sky, in my heart and on my fingers is just what I needed to make a gloomy day bright. The sun didn’t come out much today but thanks to “Yellow Whiz” by Milani it was still a beautiful, colorful day! Orly has another hit on their hands with Blue Collar. Some may call it salted roe. Others like the upscale approach and call it caviar. You can garnish a special dish with this delicacy or serve it on a well chilled plate on top of lightly toasted bread or gourmet crackers. When you break it all down, you’re left with fish eggs….and I’ll have mine with a side of glitter, on my nails, please. I hope everyone had a wonderful Easter. 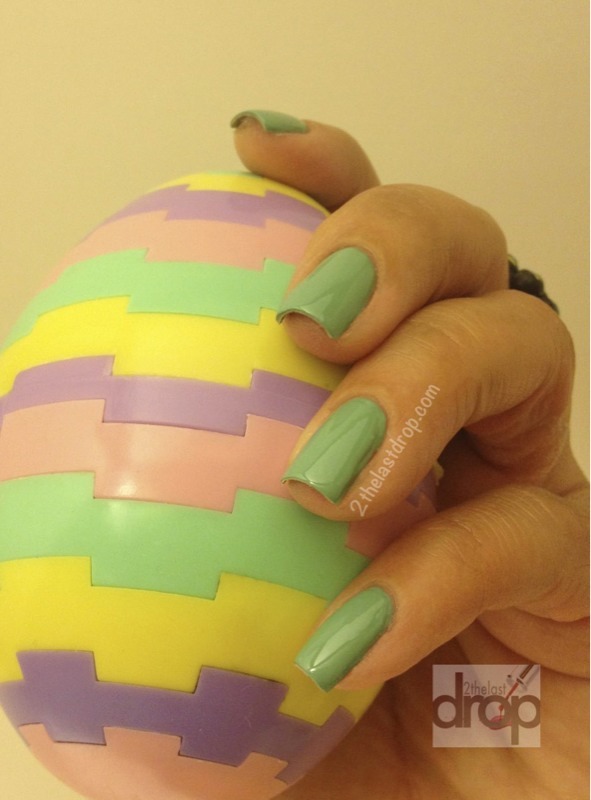 Here’s my simple holiday manicure complete with an Easter Egg. 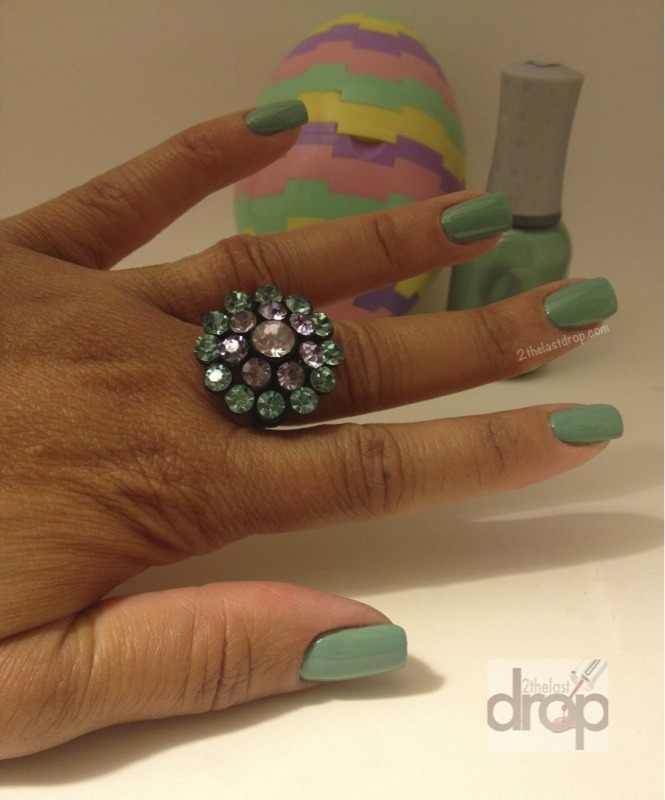 I’m wearing Orly in “Ancient Jade”. It’s a creamy color that really only needs a single coat.